Supplying premium fresh produce to Australia, and the world. For over 100 years Alfred E. Chave, and the family that run the business to this day, have been building what is now one of the leading fruit and vegetable wholesaling companies in Australia. Our proud history and industry reputation ensures we work with the best growers in Australia that provide the highest standards in quality and flavour. 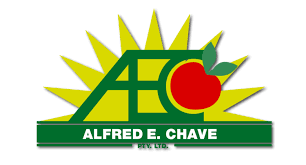 At Alfred E Chave, we insist on supplying the highest quality products to ensure that we meet today’s consumer’s insatiable appetite for healthy, tasty, fruit and vegetables. A list of our extensive product range can be accessed on our website. Please get in touch with us if you would like to find out more.